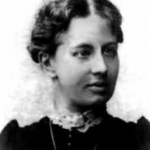 Mathematics was largely closed to women before the twentieth century. However, from ancient times into the twentieth century, some women have made remarkable achievements in mathematics. Her brilliance in astronomy, philosophy and mathematics made Hypatia arguably the greatest female thinker of ancient Alexandria located in Egypt. She worked on several researches most significant of which included her commentaries on the Greek text-book, Arithmetica and On the Conics of Apollonius. She is remembered especially for her detailed description of the early hydrometer. 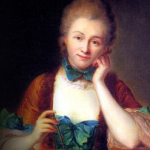 A French physicist, mathematician and writer during the Enlightenment era in Europe, Émilie received a degree at a time when women were not given the luxury of higher studies. In 1740, Châtelet published a book on philosophy and science called Institutions de Physique and later translated and commented on Newton’s Principia Mathematica, its best known translation. 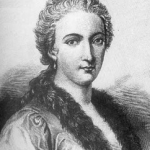 Maria Agnesi was an Italian philosopher and mathematician, most well known as the first female to be appointed as a mathematics professor and her maths book ‘Analytical Institutions for the Use of Italian Youth in English’. She also wrote the equation for the curve ‘Witch of Agnesi’. Unable to study at the École Polytechnique as a female, Germain obtained lecture notes and submitted papers to Joseph Lagrange, a faculty member, under a false name. Her work was hampered by her lack of formal training, but she became the first woman to win a prize from the French Academy of Sciences for work on a theory of elasticity. Her proof of Fermat’s Last Theorem, though unsuccessful, was used as a foundation for work on the subject well into the twentieth century. When asked to translate the memoir of Charles Babbage, the Analytical Engine (a machine that would perform simple mathematical calculations and be programmed with punchcards and is considered one of the first computers). 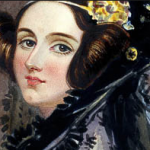 Lovelace went ahead and added her own comments and notes about a method of calculating a sequence of Bernoulli numbers: what is today known as the world’s first ever computer program. The analytical engine was never built and it wasn’t until the 1940s when programmable computers became a reality. 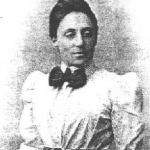 Russian by birth, Kovalevskaya’s was first woman in Europe to receive full professorship at the University of Stockholm. She gave the Cauchy-Kovalevskaya Theorem its end result in 1875, worked on a paper in which she invented the Kovalevskaya Top and published ten papers based on mathematics and mathematical physics. She won the Prix Bordin from the French Academy of Sciences in 1888 for an essay on the rotation of a solid body as well as a prize from the Swedish Academy of Sciences the next year.